A few hours after I wrote this poem, my mother told me that here in the UK, it's being suggested, by the powers that be, that cancer drugs should be issued not on the basis of need, but on the "economic value" of the patient. Of course, in many countries, including the USA, this policy is already in place, in the form of expensive health insurance packages. Me? No. Certainly not. For lots of reasons, but this stands out: People's worth is not dependent on how they measure up economically, physically, intellectually... That person who's never worked because she's emotionally sick, or that person who's worked so hard that he's driven himself to breakdown and will now never work again... The person who's intelligent, bright, witty, but physically incapable of lifting her hand to her mouth... Or the person who struggles so much, intellectually, that he'll never speak in recognisable words... Not one of those people is worth less than I am, or less than top scientists, or less than politicians who make these judgements. Moreover, economic contribution is not a measure of anything, other than, well, economic contribution. Are we really so materially-minded and so shallow that this is the single most important thing? Are my children, who've taught me more and given me more joy in their short lives than anyone else, except perhaps my own parents, REALLY less worthy, until they start earning or "contributing economically"? Of course not. The mistake we make in our so-called civilised societies, is to think that people's worth can be measured in these simplistic ways. Perhaps we need to stop measuring altogether and concentrate on connecting, loving, BEING. Perhaps, if we do that, our need for expensive cancer drugs will, over time, become so much reduced that there's no need to make "difficult choices" about who gets them, because the stress and aggressiveness and the ignoring of the health of the planet - and therefore of our own species - that's so prevalent at the moment, will be laid aside, in favour of gentleness and respect and we will all be more healthy - in mind, body and spirit. To read the poem in The Elephant Journal, click on this link and feel free to share it onwards! Don’t measure me with scales and tapes. I’m not a prize pumpkin that should be reckoned so. 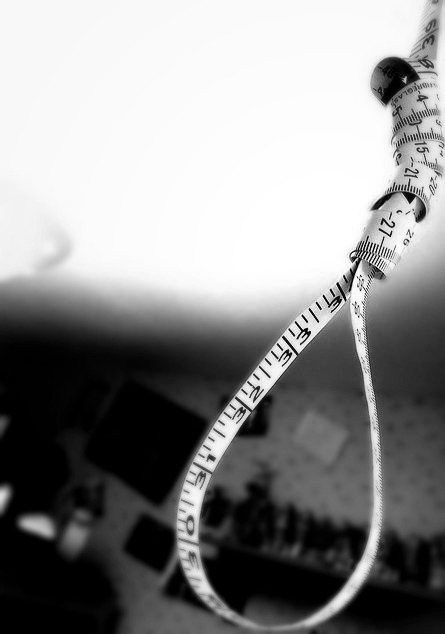 the only measurement of you, or me.